These days, there are numerous hair extension methods to choose, and sometimes the options can be quite overwhelming. More often than not, we install a hair extension method that can cause severe harm to our hair follicles and can contribute to hair loss. When choosing your hair extensions, the most important thing to consider is the health of your hair and scalp. We’ve actually made that step a lot easier here at Nina Ross Hair and Skin Therapy because we take pride in promoting holistic health. Here at Nina Ross, we offer a variety of healthy hair extensions. One of our most popular hair extension services is our I-Tip Microlink Hair Extension Method. I-Tip Microlinks are attached in small sections using individual strands by using a silicon-lined micro ring with a double loop interlocking system. 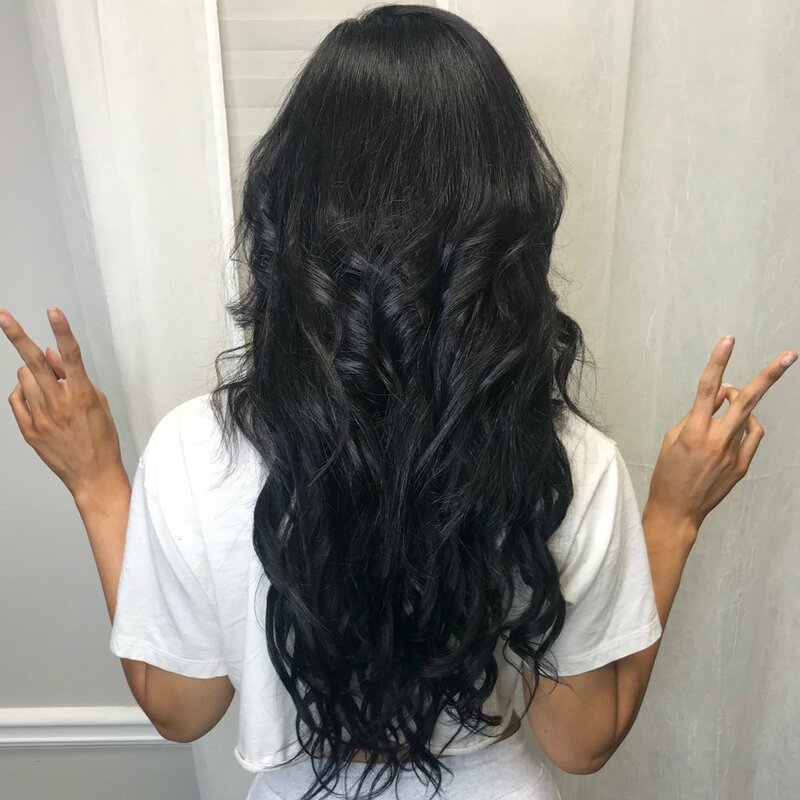 ⁣What are the benefits of Microlink Hair Extensions? One of the reasons why Microlinks are considered to be a safe hair extension method is because there is no adhesive used during application. (The installation is “glueless”) Microlinks are attached in small sections (strand by strand) by using a silicon-lined micro ring with a double loop interlocking system. The looping method helps the hair to not shift or slide. This also means no heat is used at all during the installation process. Heat may be applied if requested when styling the finished look. Do you like to play around with hair colors? Perfect! With microlink extensions, you can easily dye your hair because the rings do not stain or ruin. As long as you choose a human hair texture, you are more than welcome to reuse your hair extensions for your next application.⁣ If you choose to remove your Microlinks, that service is very fast and easy as well. Will This Help Or Harm My Thinning Hair? Microlinks are actually great for camouflaging hair thinning or hair loss. Since we have full control over the way the links are placed, you are still be able to achieve a more full and balanced look. Microlinks can even be placed in a way that makes your face appear more youthful. At Nina Ross Hair and Skin Therapy, we have performed hundreds of Microlinks services for women of all ethnicities and hair types. If you're considering choosing this method, rest assured knowing you're in great hands with us. (678) 561-4522 or visit our website https://ninaross.co/book-now.